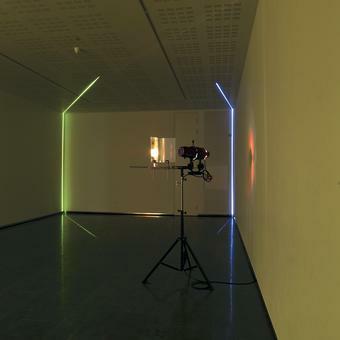 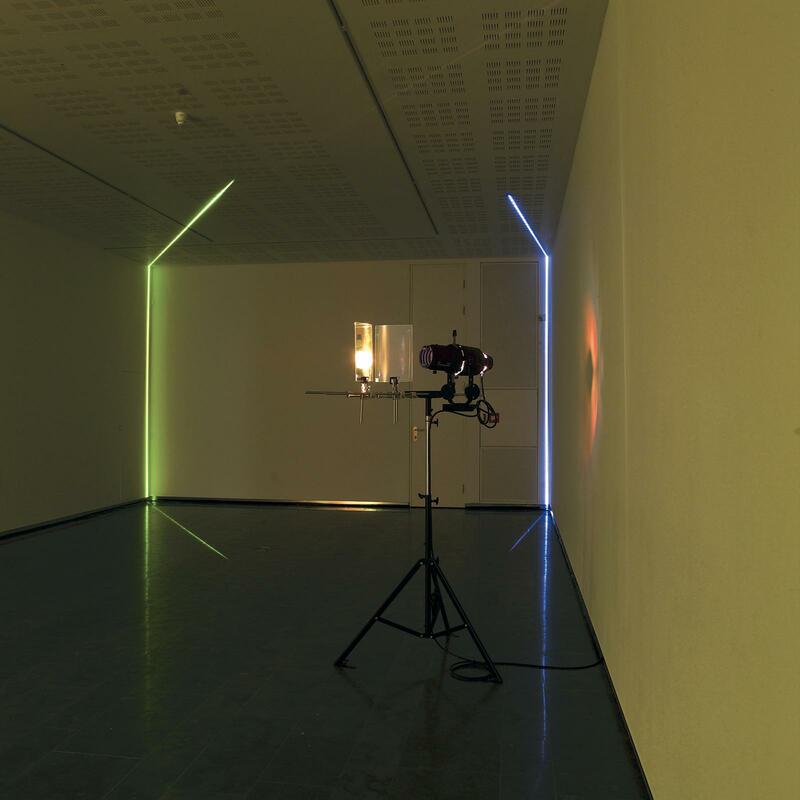 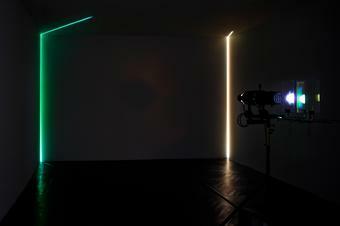 Mounted on a tripod, a spotlight projects a narrow beam of light onto three panes of colour-effect filter glass. 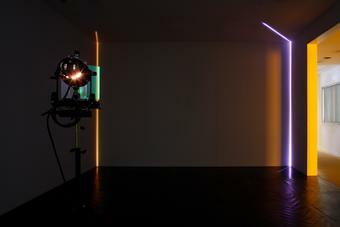 As the light refracts off the filters, it is separated into different colours and projected into the corners of the room. Each corner is demarcated with a narrow line: red, green, blue, or yellow.